According to a report by The Telegraph, models on the catwalks of London and New York Fashion Week are now surrounded not just by fancy magazines but also by Apple’s beloved gadgets. 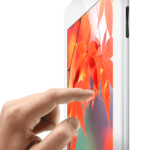 The iPad in particular, the fashionistas say, has changed the way people consume fashion and has become a driving force that brings global audience closest to the action. 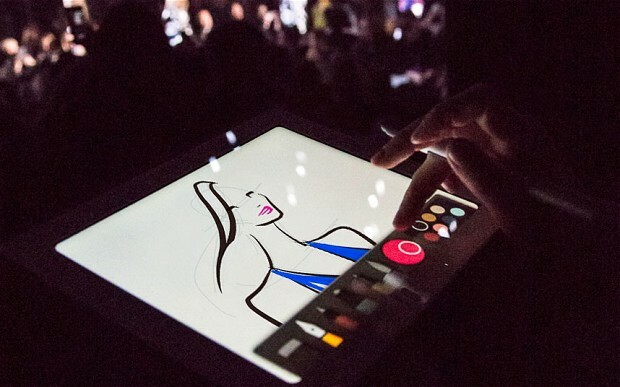 Designers are using apps such as Paper in order to sketch the catwalk looks (shown above). Another app, Fashion GPS, is used by 92% of fashion editors in order to manage logistics. Similarly, photographers are using apps such as Instagram, to capture evocative pictures of Fashion Week. Justin Cooke, chief marketing officer for the app TopShop, says that reality is bringing the future into the now, claiming that it is the most successful retail app in the UK today. Fashion designers are also claiming that collections are going on sale online as soon as they are first presented to the world and sometimes even before.